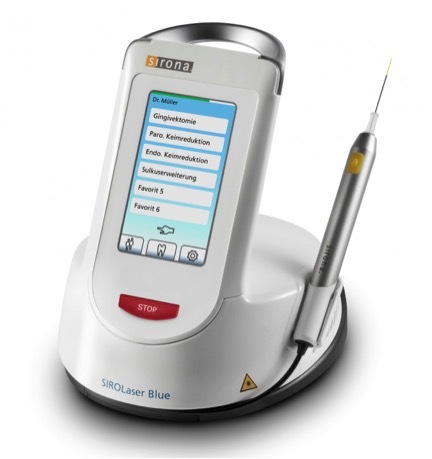 The Advanced Smiles team is so excited to share the latest evolution in dental technology - Laser Dentistry! We’re so excited to explain what Laser Dentistry is, how it works, and what it can do to enhance your smile - keep reading to learn more about this revolutionary treatment! A laser is an instrument that produces a very narrow intense beam of light energy. In dentistry, when a dental laser comes in contact with tissue, it causes a reaction in which the light produced can remove or shape tissue. Lasers can also help locate dental calculus (tartar) beneath the surface of the gums, and can even aid in the detection of oral cancer in its early stages, accurately showing where healthy tissue ends and diseased tissue begins. For the treatment of soft tissue problems, lasers have many advantages. They are minimally invasive tools that generally involve taking away less tissue than conventional methods. Used in gum surgery, for example, lasers can treat gum disease by killing harmful bacteria deep in pockets below the gum line, and removing the diseased tissue without harming the healthy tissue. Canker sore and cold sore pain treatments (read more below). Patients are less likely to require stitches. Anesthesia may not be necessary. The laser will sterilize the gums, making infection less likely. Periodontal (or gum) disease occurs when the tissue and bone that support your teeth and hold them in place become infected. Without proper support, you are at risk for tooth loss. To effectively treat gum disease, you will need a deeper cleaning. This procedure reaches beneath the gum line to remove stubborn tartar build up. Dr. De Paoli’s hygienists use the laser along with scaling and root planing to remove the infected tissue and accelerate the healing process. The laser is more accurate when interacting with diseased tissue. An added benefit is that the intense light creates a sterile environment around the new tissue, allowing it to heal more quickly. The gentle laser light is focused directly at the canker sore and promotes healing through “photo-biostimulation” deep within the tissues. Laser treatment is state-of-the-art and is extremely effective in treating oral mucosal sores on the lips and in the mouth. It is a very quick and painless procedure. No anesthetic is needed! If you have questions or would like to schedule Laser Treatment for Apthous Ulcers or Canker Sores please give our office a call at (972) 668-3680. Dr. De Paoli and his team of dental professionals are highly skilled and trained in the clinical use of Soft-Tissue Lasers. Yes, dental lasers are safe! Dental lasers have been used since 1990, and they have a history of very successful results. Dr. De Paoli and his hygiene team are trained and certified in dental lasers! Dr. De Paoli is a member of the Academy of Laser Dentistry, which is the profession’s independent source for current dental education and credentialing. Therefore, Dr. De Paoli and his team have undergone extensive training to assure they are fully equipped for all Laser procedures! When a laser procedure is performed, you will be asked to wear special eyeglasses to protect your eyes from the laser. This is similar to wearing sunglasses to protect your eyes from prolonged exposure to the sun. Thanks for reading and learning more about what Laser Dentistry can do for you! Don’t forget to make your appointment at Advanced Smiles - click here to schedule today!